If you've got a well-manicured fescue lawn the last thing you want to see are patches of Bermuda grass popping up. 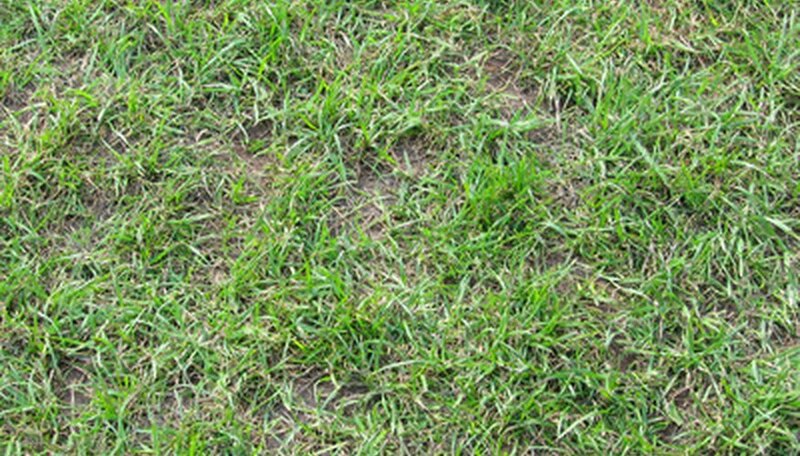 Not only can Bermuda grass be unsightly, but because Bermuda spreads through top-side branches that root and produce new plants, as well as through rhizomes (roots) that can spread dozens of yards and establish new "colonies," as well as by seeds that can sprout for up to two years after they drop, killing Bermuda grass is a difficult proposition. In fact, you can seldom do away with Bermuda with only one onslaught, but if you are persistent and stay focused on the desire to kill it, you can beat Bermuda grass. Mow your Bermuda grass regularly to prevent it from forming seeds, as Bermuda seeds can sprout for up to two years after your Bermuda grass is gone. Purchase a Bermuda-grass-specific herbicide. Talk to your local garden expert for the right herbicide for your area. There are several different brands of herbicides that will kill Bermuda grass while leaving fescue unharmed. Spray your Bermuda grass with the Bermuda-specific herbicide. Do not spray on a windy day and do not spray if rain is expected during the next 24 hours. Do not water for at least 24 hours after spraying. Spread clear plastic sheeting over your patches of herbicide-sprayed Bermuda grass if this is feasible during the height of the summer heat. Do not put plastic sheets over your Bermuda grass during the winter months as this will have no effect--it is the heat of the sun which helps kill not only the Bermuda grass but its seeds as well. Weigh down the edges of the clear plastic sheeting. Be vigilant. Because Bermuda can spread through rhizomes you need to keep watch for new Bermuda grass plants popping up even several yards from the original "mother" plant. Spray new Bermuda plants immediately with a Bermuda-specific herbicide--the younger the plant is when first sprayed, the easier it is to kill. Use only Bermuda-grass-specific herbicides and be prepared to apply at least two doses. Follow all manufacturer's instructions when mixing herbicides. Wear eye protection and a breathing mask when spraying any herbicide.